Bangladesh’ 2011 progress report towards the Millennium Development Goals (MDGs) underplays the arsenic problem. The proportion of the population using improved drinking water sources is said to have reached 86%. However, the report takes the most conservative estimate of 20 million people exposed to arsenic contaminated drinking water exceeding the Bangladesh Drinking Water Standard (BDWS). In contrast, in 2001, the British Geological Survey estimated that 35 million were exposed to levels above the BDWS or 57 million above the stricter World Health Organisation (WHO) guideline. In 2000, the WHO warned that this could go up to 77 million. 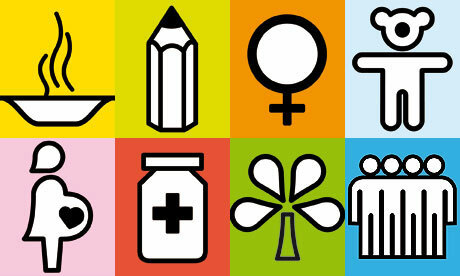 Is the drop down to 20 million suggested by the recent MDG report justified? We have serious doubts, for the following reasons. Overall progress has been extremely slow. The largest initiatives so far have been the World Bank funded Bangladesh Arsenic Mitigation Water Supply Project (BAMWSP) (1998-2006) and the Bangladesh Water Supply Program Project (BWSPP) (2005-2009). Progress of the BAMWSP remained slow throughout its course and the World Bank is even reported to have considered withdrawing its investment. The BWSPP was launched with the intention to build on lessons learned and was backed by a further US$40 million World Bank funding. However, BWSPP did not make much headway either and only US$1 million had been disbursed after nearly three years. The overall impact in terms of implementation has been scant. A proportion of households has indeed gained access to Safe Water Options (SWOs), such as shared arsenic-free shallow tube-wells, deep tube-wells, water filters and rainwater tanks. However, the impact has been extremely low. By 2006, water supplies installed under Bangladesh’s National Policy for Arsenic Mitigation (NPAM) were said to have reached less than 14% of the population at risk. An additional 29% was said to be sharing uncontaminated and marked shallow tube-wells, but that strategy is not likely to be sustainable as it has been found that shallow tube-wells tested ‘safe’ under the BDWS later became ‘unsafe’. Implementation efforts have failed to last. A recent study revealed that an average of 29% of SWOs established in response to the arsenic crisis over the past decade or so became arsenic contaminated or broke down. This goes up to 63% inoperative SWOs in highly contaminated areas. Not only were they scant, misallocated and short-lived, implementation efforts have also been highly inequitable. The definition of ‘operative’ does not reflect whether or not the SWO is actually used and shared by communities as a whole. Many SWOs have been distributed to influential or well-connected families. So-called community-based SWOs are in reality privately used by the rural elite. While there is only evidence of this at the local level (see here, here, here, here and here), even the World Bank admitted that “average figures conceal the disparity in service access and distribution. Despite high rural water supply coverage, distribution of services has been inequitable.” This should not come as a surprise. Village elites have always been in a better position to influence investments and access public (and NGO) services. These inequities have occurred in the past for both domestic shallow tube-wells and for irrigation pumps in the agricultural sector. In summary, the MDG report for Bangladesh suggests that only 14% of the population remain at risk. This is an overestimation of the progress for several reasons. First, stricter guidelines for arsenic in drinking water indicate a much larger proportion at risk. An aggravating factor is the additional exposure to arsenic through food from farmland irrigated with contaminated groundwater. Second, the report wrongly assumes that all SWOs installed since the discovery of arsenic are operative and community-based. 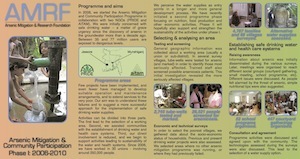 The report suggests that if present progress is maintained, the target for safe water can be reached by 2015. We believe this to be an overly optimistic estimation considering the slow progress so far. This reality check should be seen as an argument to start doing things differently. We have successfully implemented practical steps in collaboration with marginalised and vulnerable communities to establish water supplies and health support schemes that last.